Almost a month away from the Mayan Apocalypse and I've been asked to make a Christmas list. Where has time gone? Today, while my American friends risk life and limb to get a 30% discount off a stuffed animal, I'd like to propose a few memorable items, things you can be sure are not on that predictable list. 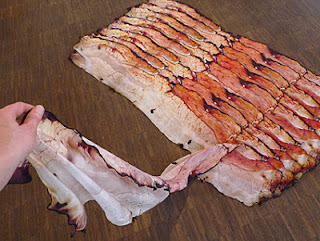 A scarf in French is a foulard but I love bacon too much to be able to wear it safely. I'd be gnawing at my neck all day. I wonder if it's scented. 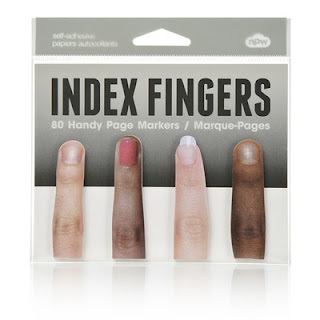 These would make great complimentary gifts for a book giveaway. Creepy yet functional. 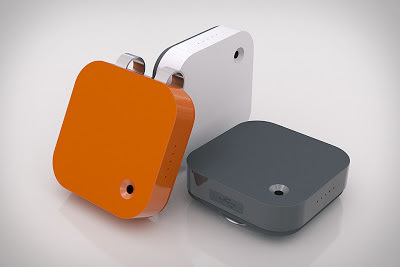 My personal favourite, a clip on camera that takes 2 photos/minute all day long. This is a Swedish Kickstarter Project that I would loved to have had to capture a day in my life at at 7 or 14 or 24 years of age.